I drove the three hours to Ely on Saturday afternoon in time to register at Race HQ and attend the first event of the weekend, the pre race pasta party. It was less a party and more an exercise in staying dry on the restaurant terrace where it was held. I was in Ely for the weekend with ten fellow members of Andover Triathlon Club to take part in the Monster Middle Triathlon. As the wind and rain threatened to spoil our dinner we should have spotted the clue to the next day’s race conditions. I went to bed early that night in my hotel grateful that I wasn’t camping like many other competitors. My alarm went on Sunday morning at 4.15am but I was already wide awake. As I pushed some porridge around a pot trying to eat as much as I could, the realisation of what I was about to try and do dawned on me. Before today my short triathlon career consisted of three sprint triathlons. This half iron distance race consisting of a 1.2 mile swim, a 52 mile bike and a 13.1 mile run, was about four times the distance. That’s when the nerves really kicked in. I arrived at Race HQ at about 5.30am as dawn was breaking. There was a quiet buzz around transition as competitors went about their preparation, but not much conversation. I quickly racked my bike, laid out my equipment and then headed off for a short warm up. 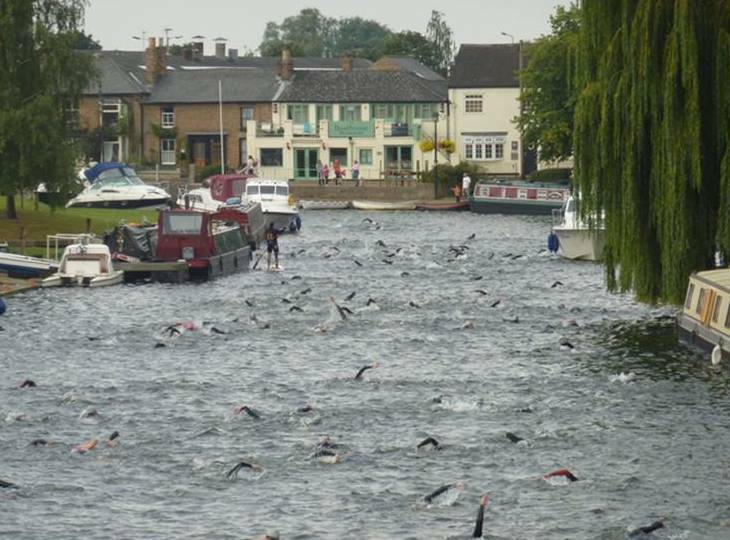 The swim was in the River Ouse and the start was about a kilometre from transition / Race HQ. So half an hour before the start I put my wet suit on and joined my Andover Tri colleagues and together we made our way down river to the race briefing. Walking down the tow path with a dozen familiar faces, some of whom were old hands at this, helped calm me down a bit. 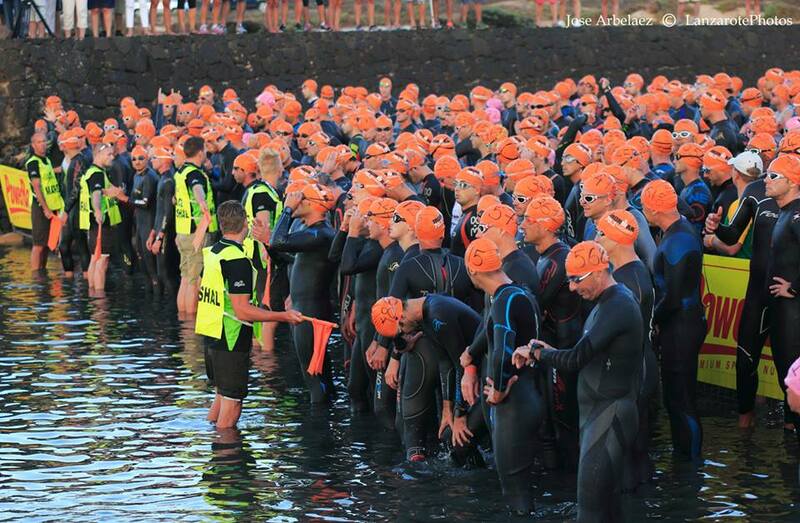 It was an in-water start and as we bobbed around waiting we were treated to a bizarre spectacle. A boat that looked like a canal barge was heading towards us. Standing on the rear deck was the Lady Mayor of Ely in her scarlet robes of office together with her mayoral chains. It was like something out of a Tom Sharp novel. It turned out she was the official starter. Without too much delay we received a countdown and then the hooter. We were off! The swim course was back up the river past Race HQ to a buoy at about the 1500m mark where we turned back on ourselves and swam the 400m or so to the exit. Despite some argy-bargy early on I pretty quickly found my rhythm. The narrow river meant the swim was crowded throughout so swimming in a straight line was important. The Lady Mayor came in handy here! 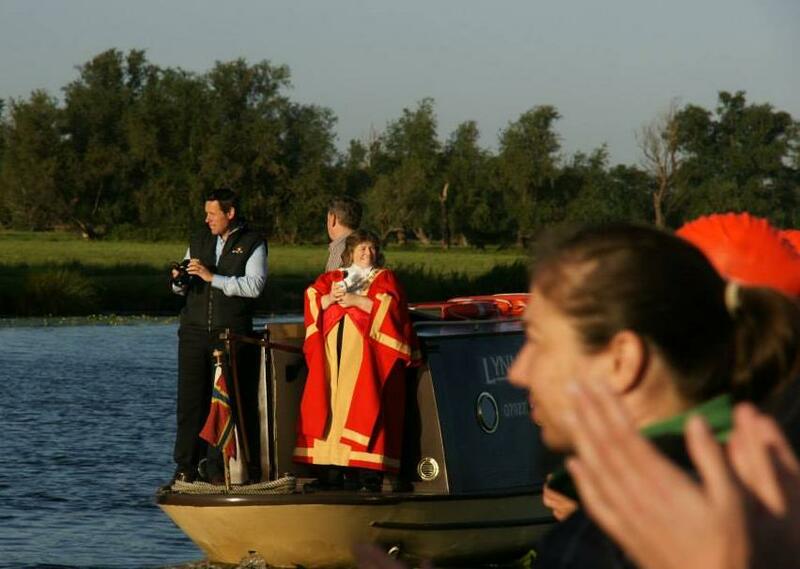 As the royal barge led the swimmers up river, her scarlet robes were easy to spot and perfect for sighting. Soon things settled down as everyone found some space. 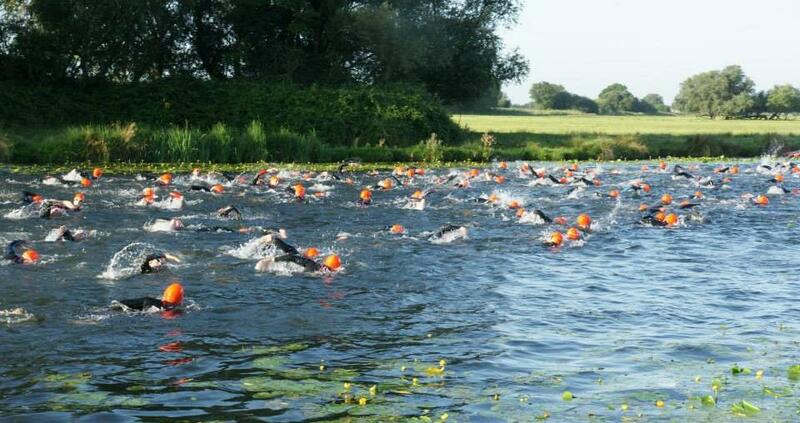 At about half way the swim course came into the built up area of the Ely riverside district. Here people lined the banks and looked down on us from the overhead bridges cheering us on which made for a great atmosphere. 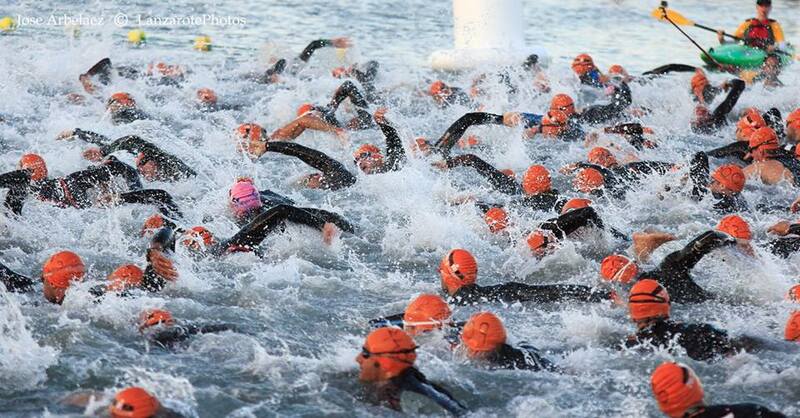 The noise grew louder as we swam past the exit and Race HQ. As we approached the turning buoy about half a dozen of us converged on it at the same time – cue some more push and shove. Once round the buoy we were funnelled into a narrow channel that took us to the exit and everything got crowded again. I spent most of last couple of hundred metres trying to avoid flying feet and arms. As I stood up unsteadily on the exit ramp a marshal reached out and pulled me until my feet were on solid ground. One 1.9km swim done! 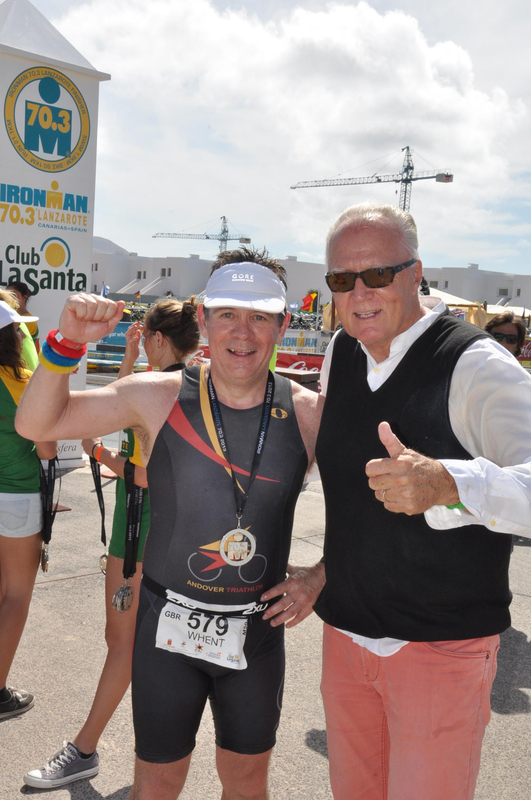 As I ran towards transition I heard Sam Pratt, one of the founders of our club, cheering me on. Sam had driven three hours to Ely to be at the start for 7.00am to support us. I saw Sam later out on the bike course and again on every lap of the run. Monster effort Sam! My main aim of the day was to get round successfully, but I would be lying if I said I hadn’t thought about the time. If finishing was my main goal, a sub 6.30 hrs time would be nice and a sub 6-hour finish would be the cherry on the icing on the cake. 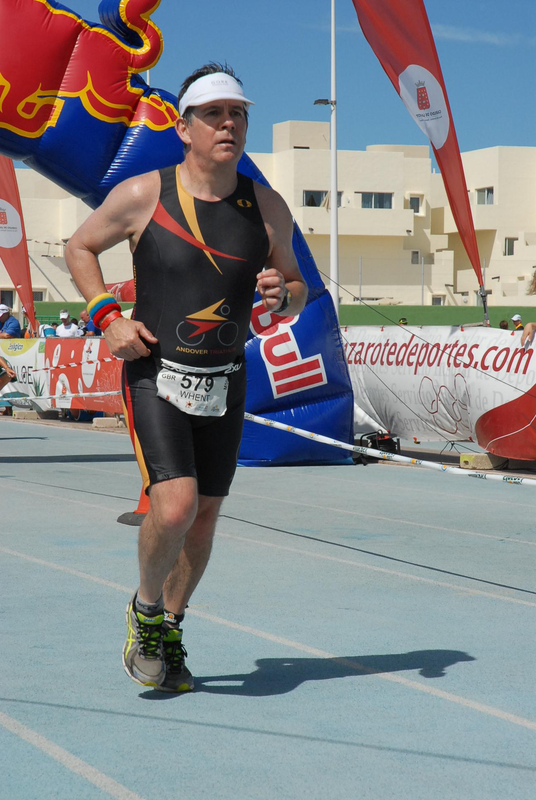 A 40-minute swim, a 3-hour bike and a sub 2-hour run would do it and were all within my reach but being a first-timer I had no idea what the cumulative effect of all three would be. 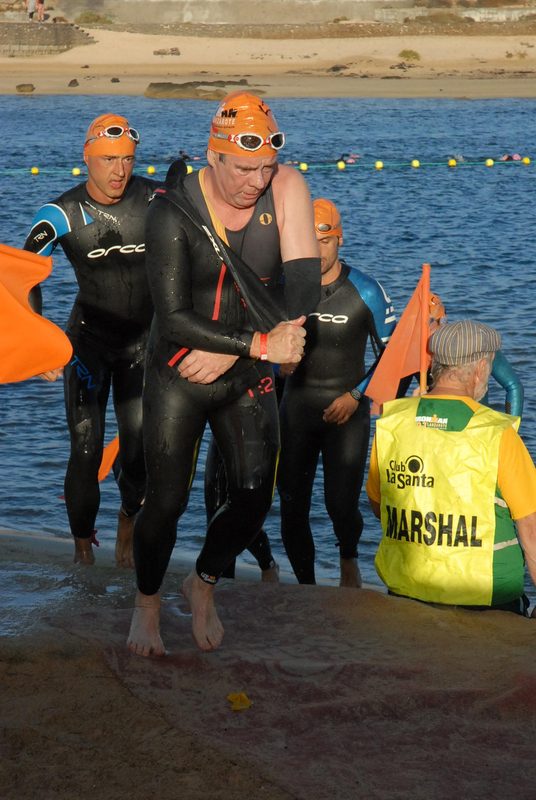 I didn’t know it at the time, but I had finished the swim in 33.53 mins so I was off to a good start. I didn’t rush through transition choosing to take time to get some nutrition on board before setting off on the bike. In retrospect maybe four and a quarter minutes was a bit too leisurely – more of a picnic! The bike course was a short “out” leg and then twice round a 25 mile circuit. The loop started on the Ely ring road which was fast. Determined to pace myself, I watched quite a lot bikes pass me at this stage. It was hard seeing them all head off up the road but I knew the important thing right now was to concentrate on my own race. I was just settling down into a nice rhythm when I heard a cry of “Oy Oy!” behind me. There was only one person that voice belonged to. 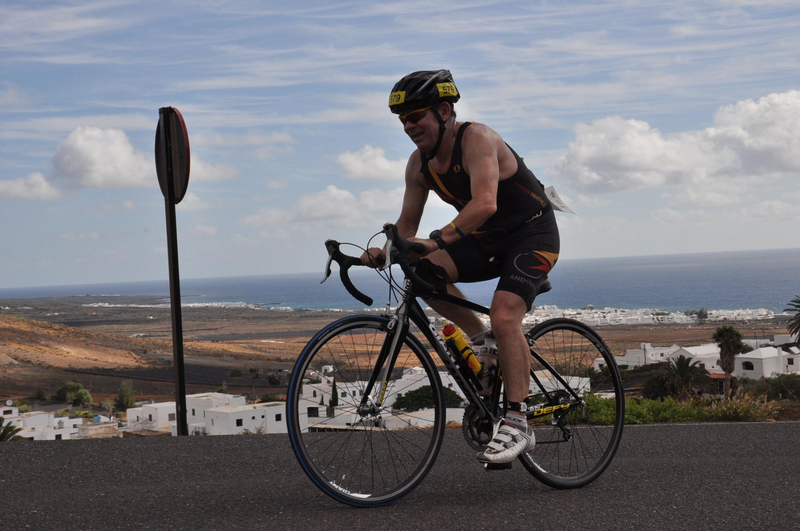 My team mate Jason Briley came zipping past me on his new tri bike. Cycling is his strong suit and with his new bike he was a man on a mission. He was here today to break his PB and he was en route to taking an astonishing 1:30 hrs off his previous best time for a half iron distance triathlon. Once we left the ring road, the quality of roads deteriorated. In fact the further we got from Ely the worse the roads became. The wind was also picking up and it seemed that we hit the worst of the head winds when we were on the worst of the roads. The wind was even stronger and more uncomfortable on the second lap. Despite that I felt good for nearly all of the bike leg and in the last ten miles even started overtaking some of those people who had overtaken me 40 miles earlier. The tortoise and the hare and all that! It was Dan Mason and Jase Lewis standing watching me. Jase, another club member, is injured but had driven from Portsmouth with his wife to support us and to marshal for the day. Triathlon needs more people like Jase! Dan has a qualifying race for the European Champs coming up in about three-weeks and so he had taken the cautious option and pulled out of the race when an old ankle injury starting hurting on the run. The run course was a 2.5 mile out leg and then four circuits of a little over 2.5 miles each which took us through the middle of Ely and round the cathedral. It was very scenic and very atmospheric but also had two pretty noticeable hills in it – so much for a flat course! My legs were soon over the bike but it took me a good twenty minutes to get into a steady rhythm. But once I did I felt pretty good and just focused on keeping a steady comfortable pace. The City Centre part of the course was great fun. The population of Ely seem to have really taken this event their hearts and a lot of them had turned out to cheer. 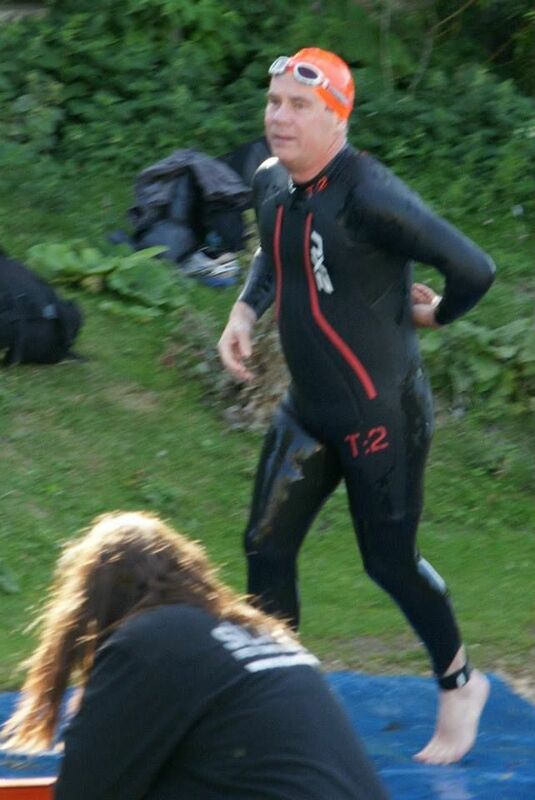 Having spent almost four hours alone it was good to see some Andover Club tri suits as I ran. I saw Pete Dennet, Pete Holt and John Simmonds all heading for good finishes. Shaun Green, our eventual club champion, passed me as he started his fourth lap having already finished once! Even with a pause at Race HQ between his third and fourth laps he was still our fastest finisher by nearly ten minutes. Each lap got a little harder. No sooner were you boosted by the support as you ran past race HQ and collected another of the four wristbands required to finish, than you were straight into one of the long hills at the start of the next lap. As I started the last lap there were lots of signs of the race taking its toll. Queues of people were walking up the hills or stopping altogether. I am pleased to say that with the exception of a couple of drinks stations were I walked as I drank, I ran the whole thing. The marshals were working overtime encouraging everyone. 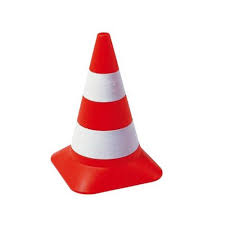 One marshal in particular on the High Street was continuously cajoling and motivating people. On my last lap I stopped to thank him – he was one of the highlights of the run. The other highlight was running past the finish area each time where the ubiquitous Sam Pratt was standing and encouraging us. I needed all of that encouragement for the last few miles where I had to dig in a bit to keep my pace up. I had been on the go for somewhere around 5-6 hours and I could feel it. As I reached the top of the last hill I finally started to celebrate – less than a mile left part of which was downhill. “I told you you could do it!” He seemed genuinely pleased for me. After 5.35 hours – the finish at last! Once I had my medal and some water, I wandered over to the timing tent to get a print out of times and splits. I felt as though I may have crept in under 6 hours so could hardly believe my eyes when I read it. 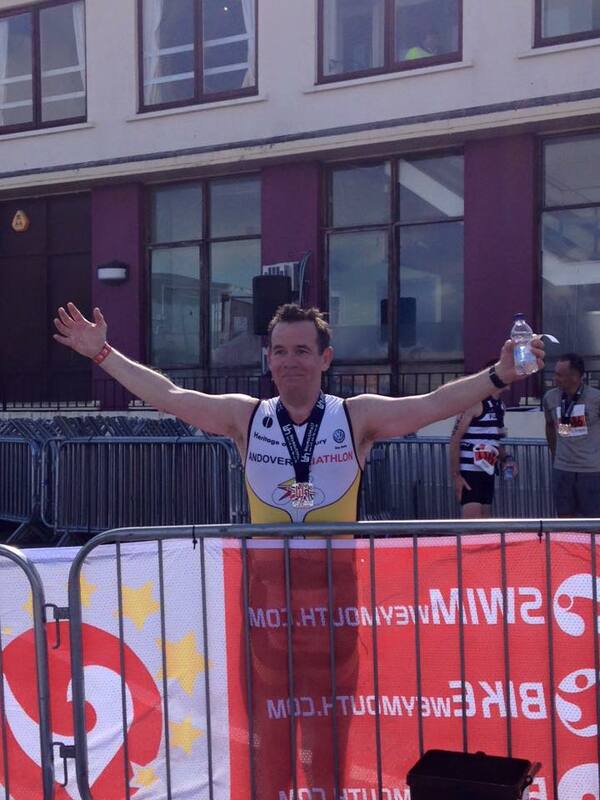 I had finished in 5:35:32 hrs, twenty five minutes inside my most ambitious target – helped by A 1.58 hr half-marathon. That’s either an advert for not wearing a watch or for a flat course. 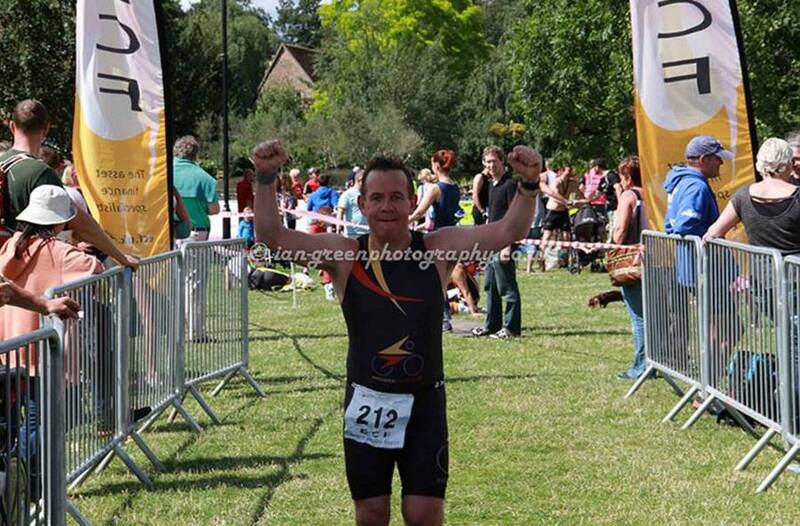 When I rejoined the rest of the Andover Tri crew everyone was very excited as we waited and cheered all of our club members over the finish line. There were lots of PBs and an age group podium place. 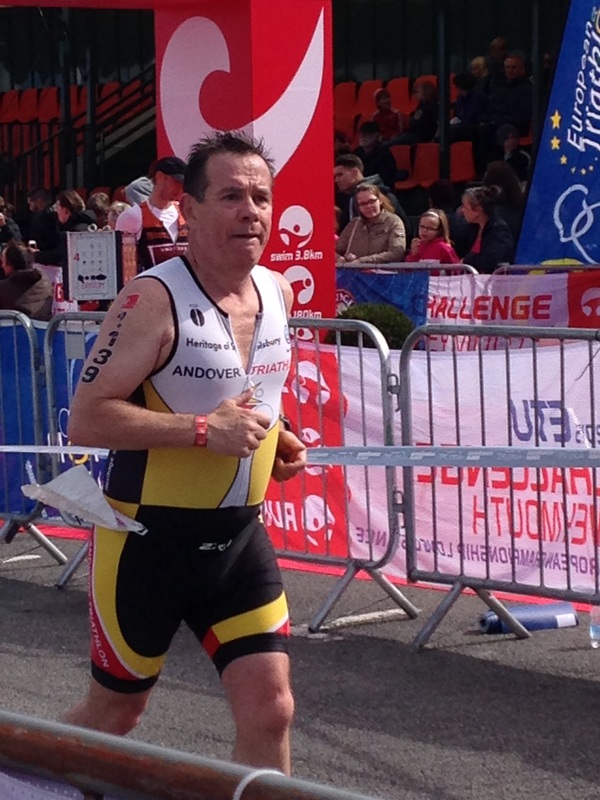 Andover Tri had given a very good account of itself. What a club! Congratulations to Shaun Green who was first from our club to finish in 4.44 hrs but would have finished a lot faster but for some confusion over the lap count. Congratulations also to Louisa Vere who was our Ladies Champion and who finished third overall in her age group. So that is The Monster Middle behind me. 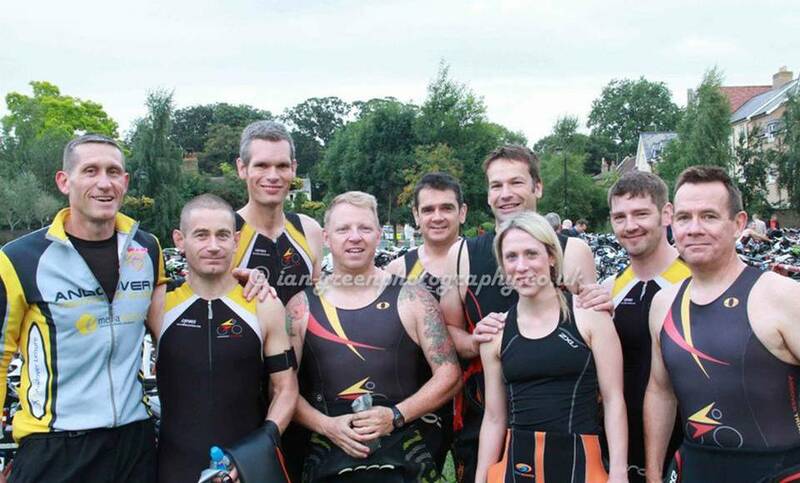 It was a really enjoyable race and a great day out for Andover Triathlon Club. I think a middle distance club championship may become an annual fixture. 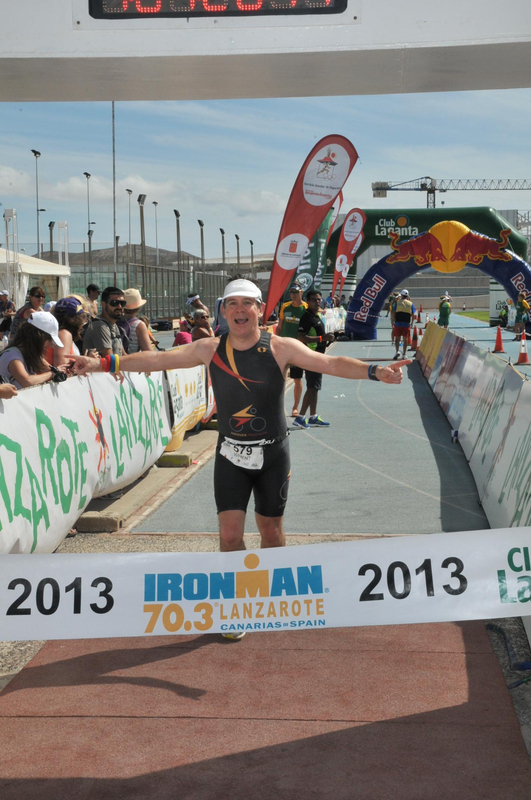 Next up for me is a light week of rest and recovery exercise and then six weeks of training before Ironman 70.3 Lanzarote where the bike leg, like Ely will be windy, but unlike Ely will most definitely not be flat! I think some hill training is on the menu for me.